How does God show tender mercies in your life? I had one a few years ago that made all the difference for me and my son. My son Tyler’s senior picture. How does God show tender mercies in your life? What is a tender mercy you ask? I believe it’s a simple reminder of God’s love for me by way of an answered prayer, a moment of gratitude or what some may consider to be stroke of luck. But instead of luck it’s a blessing – a tender mercy in my life. For me, if I’m really looking, those tender mercies pop up nearly every day, but there are days when they are extra special and extra big, especially when they are tender in more than one life. My tender mercy from six years ago is one that I think of almost daily. It was the perfect fall day the first weekend of October 2012. I was hurrying to load the soccer chairs into the back of my van after a full morning of soccer games to get home to watch General Conference for The Church of Jesus Christ of Latter-Day Saints which traditionally airs the first weekend of October and April semi-annually. It was a few minutes after 10 and the first session of the day starts at 10, so I was working quickly. My husband was loading our 5-year-old and baby daughter in the car when my cell phone rang. I quickly looked to see who it was and saw it was my 17-year-old son Tyler. “Why would he be calling me right as conference starts?” I thought to myself. Sensing a possible emergency, I answered. “Mom!” came the excited voice on the other line. “Mom, you’re never going to guess what President Monson just announced!” he said, his voice rising. “Oh dear, here comes the joke,” I thought to myself. Tyler is always the prankster. “He just announced the mission age for boys will be 18 and the age for girls will be 19,” he said, his voice both filling with emotion and a kind of elated excitement. I stopped. I dropped the chair into the back of the van and leaned up against the van, feeling a bit faint. “What? You’re kidding me, right?” I said, trying to fully process what I had just heard. By now, my husband had come to my side, sensing the alarm in my voice. I relayed to him what Tyler just said. “Mom, I’m going on a mission this summer,” came his next words. Tears started flowing down my cheeks like an unstoppable faucet. I got in the the van. We drove home. I went inside. I hugged my son. I cried some more. Tears of happy joy. Tears of sad sorrow. My time with him just got a lot shorter, but boy, was it wonderful! So now you’re wondering: where is the tender mercy in all of this? Tyler’s high school cross country team won state his senior year. My son was a cross country runner in high school. He was lucky enough to be on an excellent high school team that was really going places and he wanted a spot on the varsity team during his junior year. The top seven runners earn a spot to race at state and he trained amazingly hard to earn the spot. During the region race he was the eighth runner on the team by less than three seconds. He was devastated. I was devastated for him. 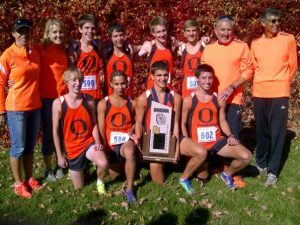 The team took state and he was the alternate runner on the state-winning team. A great accomplishment by any opinion, but for him that was not enough. After that, he ran and ran and ran. I never knew someone could run so much. He decided his senior year he was earning that spot. During the summer he ran twice a day – he ate – a lot. He drank – a lot. He wore out three pairs of shoes. By the time fall of his senior year rolled around he was the fifth man running. He earned his spot. Then the unthinkable – he started hurting. It was a pain in his side, literally. His coaches and trainers gave advice as to what was wrong, but the advice he was getting wasn’t helping him. His times were slowing down. He tried to push through the pain but I could see it on his face – it was getting to be too much with each race. State was approaching and it was the second to last race of the season. 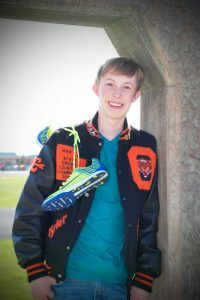 The diagnosis he received from his trainer was that he could keep running, but just had to push through the pain – it was a growth plate injury. So, he was pushing through, but as I went to my designated spots along the race course to watch him he was getting slower and slower. In a way, it was touching to watch, because his teammates knew how much he wanted the spot at state and they were running slower than him so they wouldn’t pass him and he wouldn’t lose his spot, but he was slowing down big time. As he crossed the finish line he looked like he might pass out. My stomach was in throat with anxiety and worry as I rushed to his side. I felt like I might to burst into tears because I knew I had just watched him race his last race. This was the day of Tyler’s mission farewell when all those tender mercies came full circle. One of the dad’s of one of the other runners was a doctor and he checked him out right there and immediately called a friend to get him into a doctor. We went to that doctor, and he said something we didn’t expect – a possible sports hernia. Two days after that we were saw a specialist and sure enough, it was a bad enough sports hernia that he wouldn’t be able to run the rest of season or even run track during spring. All the work he had done – all the running – and now this. He was devastated. I was devastated for him. Quiet tears crept down my cheeks while in the office, because as a mom, you feel all the things your child does, but probably times ten. There would be no state title for him. He would be an alternate. Again. All those hours. All that gatorade. My son had literally run his guts out. That night as I prayed I poured my soul into that prayer. It was one of the those mother prayers, you know the kind where you lay it all out there, ready to bargain anything in the world for your child’s happiness. I prayed that there could be something, anything, to take his mind off this abrupt change to his life plan. 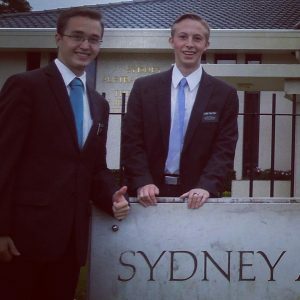 My son Tyler serving in the Sydney South Australia mission. So proud of this kid for his faith and example. Tender mercies have always shined between he and I. That gut-wrenching prayer was on a Friday night. Guess what Saturday was? October 2012 General Conference. The conference where the mission announcement was made. The ultimate tender mercy for a mother and her son. This announcement suddenly put his life into perspective. So what if he ran he guts out? 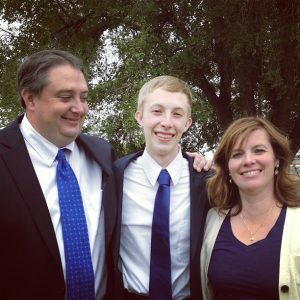 He would be leaving soon after high school graduation to serve a mission for his church, a calling that would come from God. He now had a focus and he knew it. I knew it. I knew for me, it was an answer to my prayer – a mother’s prayer for her son. It was an answer to his prayer – a 17-year-old boy understanding that God loves him and knows who he is. Did that announcement change the lives for youth all over the world? Of course it did. But for the Trotters, in our little house, in Ogden, Utah it was so much more. It was an answered prayer of love for a young man and his mother. The sweetest of all tender mercies. So now I ask, “How does God show tender mercies in your life?” I would love to hear them because they are special, they are poignant, they are what make your life story worth living. Plus those tender moments of our life are screaming to be written down, recorded and remembered. 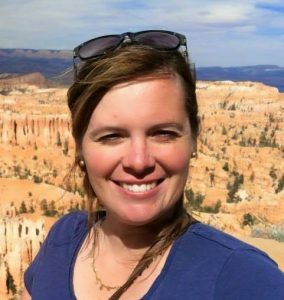 When my daughter was five years old, she was molested by a family member. My wife was first to know. She, knowing my past, then went to my sister for advice on how to inform me. They both sought council from our bishop, who wisely asked then to remove any weapons in my home. Not knowing any of this yet, I was told by my wife that Bishop wanted to meet with us… together. As cliché as it may be, it was definitely like a ton of bricks had fallen on me! At this time, I was living my life as I should. Attending my meetings, paying a full tithe and fast offerings, had a valid Temple Recommend, and was actively charitable toward my fellow man. Earlier in our marriage, my wife and I were blessed with two children. Both boys, and both delivered by caesarean-section. The joy was overwhelming with each announcement of pregnancy, and again with each birth, but my heart wanted a little girl. When the doctors advised us of the potential complications of pursuing a larger family through caesarean birth, we decided to try once more for a baby girl. At this point, I poured my heart out to my Father in Heaven. We tried for months! After nearly two years, we gave up. Now I really really began to beg. I was probably an annoyance, but I begged and begged. I was so set on being a little girl’s daddy, that when my wife finally became pregnant, I told my boys that if the baby wasn’t a girl, we’d go adopt one… either with, or without Mom. As it turns out, I received the answer I begged for, and a daughter was in my future. Oh, the joy I had in my heart! Fast forward five years to my heartbreaking meeting with Bishop. My Testimony was strong, and I knew there was a promise available to me. One that allowed me to call upon God and prove him. So I did! I demanded delivery of this promise! Open those windows, and pour the blessings down! Show me that I don’t have room to receive them! During this time, the Spirit was strong with me. The rage was there, but for the first time, I was able to keep it under control. At times, I was even able to push it away completely. This was not me… in no way was I on my own here. I don’t know how many angels were ’round about’ me. It had to be quite a number, as it was no easy feat! I know God loves us. I know he wants us to be triumphant. We are weak and draw near to him because of the weakness. Then he fulfills his promise without hesitation. What a wonderful, tender mercy. Thank you for sharing thoughts about your own story. It sounds like your life has run the full range from the most amazing blessings to the heartbreak of watching your child hurt. What a beautiful message. Thanks for sharing. I love that God shows all of us tender mercies.